CHIPOJO LAB: Field Season Strikes Again! One summer just wasn’t enough! I am back at El Verde Field Station in Puerto Rico, finishing off the first full day of Field Season 2015. We spent the day re-acquainting ourselves with the Anolis lizards that call El Verde home. I think they recognized me. Meet the awesome new team members gearing up to shed light on the secret lives of female Anolis lizards! Karen is our cooking aficionado, and joins me from the University of Missouri. She is pursuing a degree in Biology, and plans to attend Veterinary school upon graduating. Deborah is our resident expert on Puerto Rico, and is putting me to shame with her lizard spotting skills! She attends the University of Puerto Rico in Aguadilla, where she is studying biology. 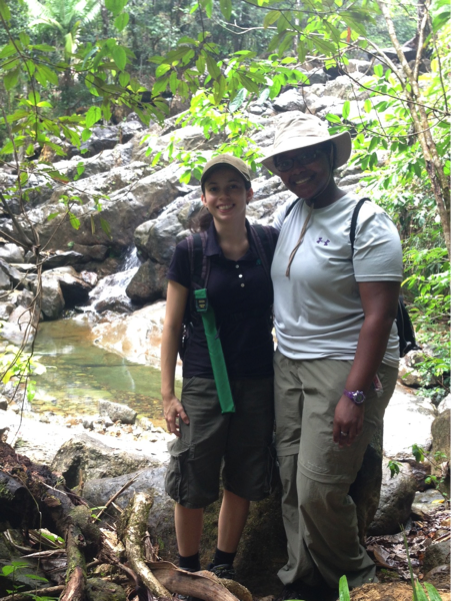 Look out for more from these two—they’ll be sharing their thoughts as our field season progresses! Deborah and Karen enjoying an overcast first day in the field! Got to run--It's taco night! Stay tuned for more tales from the field! Puerto Rico--La Isla de Aventura!